Having trouble viewing this email. Click here to view this newsletter in your browser. Don't miss another issue of JNIBS. Subscribe today! ASHRAE seeks a second round of public comments on BSR/ASHRAE/IAQA Standard 3210P, Standard for the Assessment of Educational Facilities for Moisture Affected Areas and Fungal Contamination. Standard 3210P is open for a 45-day public review until Dec. 25. View the standard. Submit a comment. The impressive lineup of session speakers at Building Innovation 2018: National Institute of Building Sciences Sixth Annual Conference and Expo includes industry leaders, public-sector authorities and academia. During the four-day Conference, to be held January 8-11, 2018, at the Mandarin Oriental in Washington, D.C., 55 expert speakers will cover a wide variety of topics to explore strategies that Sustain. Strengthen. Secure. Building Innovation 2018 will start with council and committee meetings on Monday, followed by 35 presentations in 20 different educational sessions scheduled over the next three days. The program offers many opportunities to expand your knowledge and learn about the latest techniques and technologies on a variety of subjects. From three-dimensional printing and timber construction to climate resilience and healthcare quality, the session presentations run the gamut. Don’t miss the chance to learn from the experts while interacting with professionals from across the building industry. Plan to join us where Science meets Design® at Building Innovation 2018 to hear from great speakers and participate in an exciting program. View the speakers. See the session schedule. Register today! 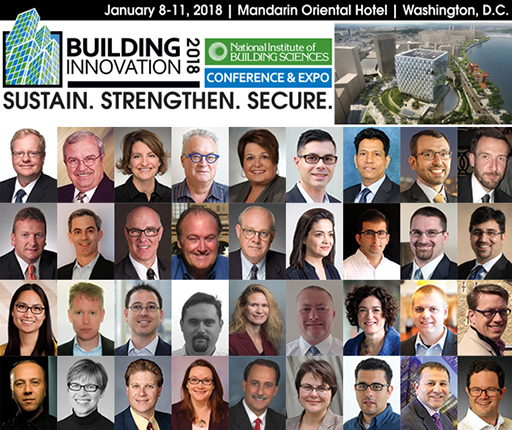 Students interested in attending Building Innovation 2018: The National Institute of Building Sciences Annual Conference & Expo, January 8-11, 2018, at the Mandarin Oriental in Washington, D.C., already receive a discounted price on registration. However, there’s a chance to attend the Conference for FREE as a volunteer. This is the perfect opportunity for students interested in building industry-related careers to expand their construction knowledge and interact with some of the industry’s leading experts. In addition to taking advantage of educational sessions, volunteers can hear from industry leaders during keynote addresses; network with industry colleagues during social events; view the latest in industry products and services on the Exhibit Hall floor; gain inspiration from industry pioneers honored during two award ceremonies and sit in on working Council and Committee meetings to witness the Institute in action. Not a student, but still interested in volunteering? Submit an email. Decisions will be made on an individual basis. Read the call for volunteers. The editors of the Journal of the National Institute of Building Sciences (JNIBS) are beginning the process of compiling articles for the Spring/Summer 2018 edition. The Spring/Summer issue will offer a special section on building enclosure design, as well as other articles on building information modeling, building codes and standards, energy efficiency and blast credentials. Abstracts are due December 15. Submit an abstract for the issue. Interested in advertising? View the 2018 JNIBS Media Kit. James Timberlake, FAIA, partner from KieranTimberlake, the architecture firm that designed the new U.S. Embassy in London, will serve as keynote speaker of the Plenary Luncheon, to be held 12:00 – 1:30 pm, Wednesday, January 10, during Building Innovation 2018: The National Institute of Building Sciences Sixth Annual Conference and Expo, in Washington, D.C.
Mr. Timberlake will discuss the concepts and integration required to design an embassy that reflects the core values of democracy—transparency, openness and equality—while providing a welcoming, secure, highly sustainable environment. The new embassy is located in London’s Nine Elms district, a South Bank industrial zone under intense redevelopment. The building stands within a public park with a pond and gardens and curving walkways that continue through the interior of the building. Interior gardens on each floor extend the movement upward, enhancing circulation and providing places to meet. With an estimated 1,000 daily visitors, the embassy is expected to establish a strong framework for the urbanization of Nine Elms. Read the release. Learn more about the new London Embassy. Register to attend Wednesday’s Plenary Luncheon or the full Conference. 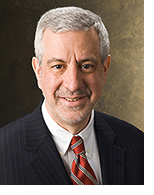 The president of Thornton Tomasetti, Raymond P. Daddazio, EngScD, PE, will serve as the Opening Keynote Speaker during Building Innovation 2018: The National Institute of Building Sciences Sixth Annual Conference and Expo, to be held Tuesday, January 9, 8:00 am – 10:00 am ET, in Washington, D.C. The Building Innovation 2018 theme is Sustain. Strengthen. Secure. In his presentation, Mr. Daddazio will build on that theme, focusing on resilience and how infrastructure plays a major role in securing our communities for the future. He will provide his insights; highlight case studies; share best practices, lessons learned and remaining challenges; as well as offer his thoughts on long-term planning, whole building design, sustainability and the interchange between buildings and supporting infrastructure from the engineering point of view. Mr. Daddazio provides strategic and operational leadership for Thornton Tomasetti, an international engineering design and analysis firm. During his nearly 40-year career, he has held various leadership roles, including that of president and CEO of Weidlinger Associates, which merged with Thornton Tomasetti in 2015. He was formerly director of Weidlinger’s Applied Science & Investigations practice, and oversaw all of the firm’s advanced analysis and R&D activity. Read the release. Register for the Opening Keynote Breakfast or for the full Conference. The popular series of 2017 webinars presented by the National Institute of Building Sciences Building Seismic Safety Council (BSSC) is now available online. These courses cover some of the latest changes on seismic design and analysis. The courses highlight the 2015 National Earthquake Hazards Reduction Program (NEHRP) Recommended Seismic Provisions for Buildings and Other Structures, which was adopted by American Society of Civil Engineers (ASCE) Structural Engineering Institute (SEI) ASCE/SEI-7-16 Minimum Design Loads for Buildings and Other Structures. The BSSC hosted the series of seven live webinars earlier this year, sponsored by the Federal Emergency Management Agency (FEMA). Learn about the latest strategies on seismic design featured in the 2015 NEHRP Provisions and ASCE/SEI 7-16 and earn continue education credit at the same time. All of the courses are approved by the American Institute of Architects and the International Code Council. Engineers are eligible to earn 1.0 Professional Development Hour (PDH) for each webinar, code officials are eligible to earn 0.1 Continuing Education Units (CEUs) and architects are eligible to earn 1.0 health/safety/welfare (HSW) CEU. Take a course today! Sign up for notifications related to seismic safety. 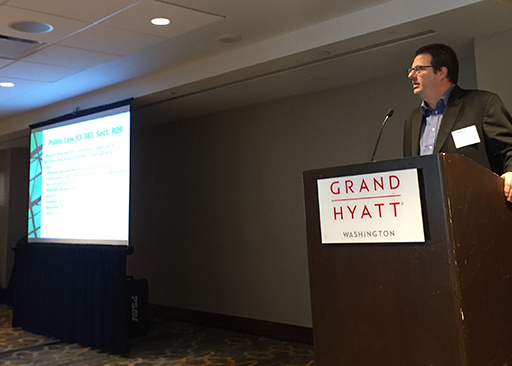 Ryan Colker, Presidential Advisor at the National Institute of Building Sciences talks about resilience during his presentation at the Polyisocyanurate Insulation Manufacturers Association (PIMA) Annual Conference earlier this month in Washington, D.C.
Members of the Building Seismic Safety Council (BSSC) Provisions Update Committee (PUC) met this week in San Francisco, California. BSSC develops the National Earthquake Hazards Reduction Program (NEHRP) NEHRP Recommended Provisions for New Buildings and Other Structures under the sponsorship of the Federal Emergency Management Agency (FEMA). PUC is in the middle of the 2020 NEHRP Provisions development cycle, which is targeted to be adopted by the American Society of Civil Engineers (ASCE)/Structural Engineering Institute (SEI) ASCE/SEI 7-22 Minimum Design Loads and Associated Criteria for Buildings and Other Structures and the 2024 International Building Code. Besides the progress report from the nine issue teams, PUC evaluated seven proposals that have been balloted online. Learn more about BSSC. The annual meeting of the Building Enclosure Technology and Environment Council (BETEC) will serve as the announcement site for the new BETEC Executive Committee when the group gathers on Monday, January 8, 3:00 pm – 5:00 pm, at the Mandarin Oriental Hotel in Washington, D.C. BETEC members in good standing (i.e, dues payments and records are up-to-date) will be e-mailed an electronic ballot on December 1. Members may vote by electronic ballot by January 5 or in person at the January 8 meeting. The BETEC meeting is part of Building Innovation 2018: The National Institute of Building Sciences Annual Conference and Expo. Members attending only an Institute committee or council meeting need not register for the conference. Contact staff director Stephanie Stubbs with questions. The Department of Energy (DOE) Building Technologies Office (BTO) launched a survey last week to seek feedback on Time-Sensitive Valuation of Energy Efficiency (TSV-EE). BTO would like to present information on the time-varying value of energy and the associated changing value of energy efficiency in a way that is useful for different decision-makers using BTO tools. The purpose of the survey is to gather input from key stakeholders who either are directly involved in the electricity market or building industry, as well as those have expert knowledge on TSV-EE. This is a voluntary survey and responses are confidential. The survey will take about 20 minutes. The survey closes Friday, December 8. Take the survey now. The Facility Maintenance & Operations Committee (FMOC) is in the process of electing a new Board of Direction. The new board will meet at the upcoming FMOC meeting, to be held 3:30 – 5:00 pm, January 9, 2018, during Buildng Innovation 2018: The National Institute of Building Sciences Sixth Annual Conference & Expo. For more information about the FMOC meeting, contact Jiqiu Yuan. The National Institute of Building Sciences announces the appointment of Deane Evans, Justin Zeulner and Bill Updike as the jury for the 2017 Beyond Green™ High-Performance Building and Community Awards. The Beyond Green™ High-Performance Building and Community Awards recognize those buildings, initiatives and innovations that are influencing, informing and inspiring the high-performance planning, design, construction and operations processes. The jury is responsible for selecting those projects and activities that best exemplify the eight design objectives of high performance from all of the entries submitted. In a change of venue, the Institute will recognize the 2017 award winners on Wednesday, January 10, 2018, during its Annual Awards Banquet. As part of the awards presentation, the Beyond Green™ High-Performance Building and Community Award winners have the opportunity to present their projects and highlight the challenges and opportunities they faced while delivering high-performance buildings. Read about the jury. If you are interested in any aspect of building enclosure research, design or practice, plan to be there for the fifth BEST Conference Building Enclosure Science & Technology (BEST5). Join the National Institute of Building Sciences Building Enclosure Technology & Environment Council and the Building Enclosure Council-Philadelphia for this triannual event. 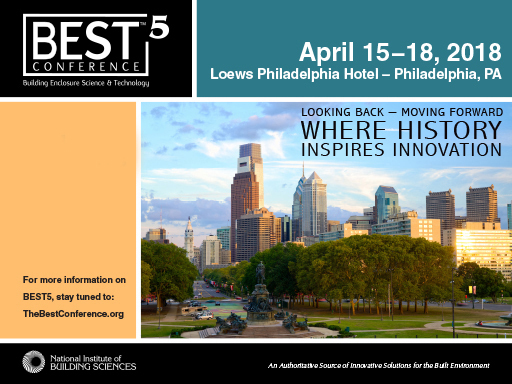 BEST5 will take place April 15-18, 2018 at the historic Loew’s Hotel in Philadelphia, Pennsylvania. Under the umbrella theme, Looking Back, Moving Forward: Where History Inspires Innovation, BEST5 will present topics of particular interest to practitioners, including: Building Retrofits; New Materials and Systems; Whole Building Simulation and Verification; and a host of case studies. Design your own learning experience from among concurrent sessions. In addition to the Conference program, you’ll have an opportunity to take part in newly added workshops that comprise part of a pilot program towards a certificate in building enclosure commissioning. Registration for BEST5 will open January 15, 2018. In the meantime, visit the BEST5 website to sign up for updates and announcements. Sponsors and Exhibitors: Spaces are selling faster than for the 2015 BEST4. Don’t miss out on your chance to reach the BEST5 audience. Reserve your space today! Download the event prospectus. Lamar Henderson, NCARB, CSI, LEED-APTM, a longtime friend of the Institute’s buildingSMART alliance (bSa), passed away last week. 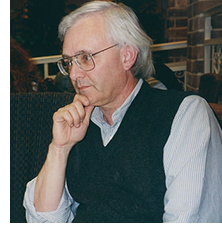 He was one of the early advocates of building information modeling (BIM) and served on numerous national standard development committees throughout his professional career, including active service on many bSa committees, subcommittees and task groups. As a member of the Institute and bSA, he participated in the development of the United States National CAD Standard© (NCS) CAD Layering Guidelines; served as a project committee member of the National BIM Standard-United States® (NBIMS-US™) Versions 2 and 3; and was chair of the NBIMS-US™ V3 Implementation Subcommittee, a member of the Terminology Subcommittee and, most recently, a member of the bSa Information Standards Subcommittee (ISS) and the Construction Operations Building information exchange (COBie) Task Group (CTG)..
Lamar was an architect who had practiced as a sole proprietor, in a collective, as well as started a design/build firm. He taught for ten years in the School of Architecture and Planning at the Catholic University of America as a Clinical Assistant Professor and introduced digital tools systems in the curriculum for the Center for the Design and Stewardship of Catholic Properties. A memorial service was held for Lamar on November 28, 2017, at the Sidwell Friends Upper School in Washington D.C. His bSa colleagues fondly remember Lamar for his many dedicated and insightful contributions to BIM. Each year, FEDCon® gives private-sector architects, engineers, contractors and manufacturers an insight into the construction process of the different agencies of the U.S. federal government. The 2018 FEDCon® Keynote Breakfast, scheduled for Thursday, January 11, 2018, from 8:00 am to 10:00 am, during Building Innovation 2018: The National Institute of Building Sciences Sixth Annual Conference & Expo, will spotlight the work of many federal agencies through a celebration of the 20th anniversary of the WBDG Whole Building Design Guide®. WBDG is an internet-based portal to a wide range of federal- and private-sector building-related guidance criteria and technology. It creatively links information across traditional professional disciplines to encourage integrated thinking and “whole building” performance. Federal agencies, as well as private-sector companies, non-profit organizations and educational institutions all contributed their information and resources to develop the WBDG. More than 400,000 visitors make more than 1.5 million page views on the site each month. During the 2018 FEDCon® event, Earle Kennett, former Senior Vice President (retired) of the Institute; Bernard Deneke, PE, Director, Engineering Criteria and Programs, Naval Facility Engineering Command; and Sherri McMillion, PE, CEM, Specifications and Standards Criteria Manager, Naval Facilities Engineering Command and chair of the WBDG Advisory Council, will present the history, successes and performance of the WBDG. Find out how the WBDG has grown over the past 20 years from a resource for federal agencies to share their construction criteria into a comprehensive library of over 6,000 design criteria, other construction documents and executable programs from federal and private organizations that is visited by users from all around the world. Learn how users benefit from this vast collection of centralized and easily accessible information, available to anyone with access to the World Wide Web. Register for the FEDCon® Keynote Breakfast or attend the full Conference. With support from the Department of Defense (DoD) Corrosion Policy and Oversight Office, the WBDG Whole Building Design Guide® has published new informational content to help facilities experts stay current on best practices in corrosion prevention and mitigation. The newly published WBDG Corrosion Prevention & Control (CPC) Source “knowledge” pages address CPC issues and challenges related to a) facilities planning, b) sustainment, restoration and modernization, competencies, acquisition issues, cost of corrosion, and environmental severity. The pages address the scientific areas of Cathodic Protection, Corrosion Science, Paint and Coatings, Pavements, and Waterfront and Coastal Structures. Over the next year, the WBDG CPC Source will be enhanced by eight new training modules, which will supplement five 15-30-minute training vignettes. The DoD Corrosion Office expects to post its first Cathodic Protection course using narration in December 2017. In addition, the Corrosion Office plans to publish narrated courses on Utilities, Waterfront and Coatings on WBDG.org by March 2018. Visit to WBDG. Read the DOD release. © 2017 National Institute of Building Sciences. All Rights Reserved. You're receiving this monthly e-newsletter as a subscriber, member or contact of the National Institute of Building Sciences or a council, board, committee or customer of the Institute. If you no longer wish to receive this newsletter, please click here to unsubscribe.